Let the slow cooker help you whip up a fresh cranberry orange sauce for your Thanksgiving. 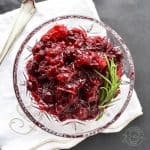 To be honest, making fresh cranberry orange sauce on the stove is pretty quick and easy. I started using my slow cooker to make this recipe because I had too many things I was trying to cook at once. So adding the sauce to the slow cooker was a way to get it made without having to spend a lot of time or resources on it. Let’s face it. Hosting Thanksgiving is a big chore. We can all use a few shortcuts. Making this recipe in the slow cooker is a total short cut for me. Growing up, my mom always had two kinds of cranberry sauce on the table. She had the canned Ocean Spray Jellied Cranberry Sauce and she had the homemade fresh cranberry sauce. My brother was team jellied, I was team homemade. 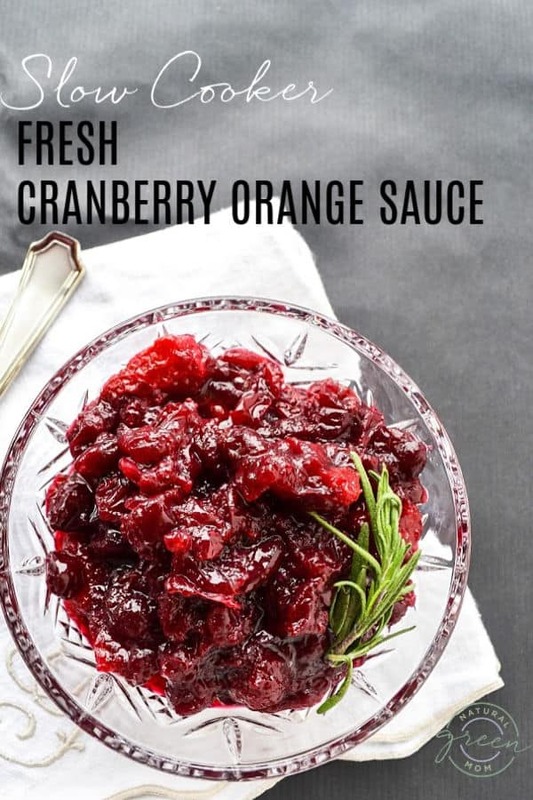 The first time I had oranges in my fresh cranberry sauce was one Thanksgiving at my sister-in-laws house. Add remaining ingredients and cook on high for 2 hours. Reduce the heat to low and cook an additional 4 hours. Taste and add more sugar if needed. Remove cinnamon stick and refrigerate to chill before serving. HELPFUL HINT: Make this the day before Thanksgiving to give it plenty of time to chill. The Wednesday before Thanksgiving Day, I put this on to cook while we make pies. The house smells AMAZING! OPTIONAL: Instead of the cinnamon stick, add some chopped pickled jalapenos. Oh my Lanta is that delish! Previous Post: « Mrs. Meyer’s Multi Surface Concentrate $4.27/Bottle!